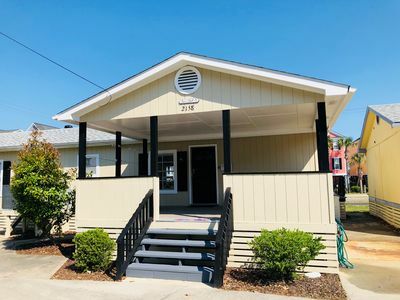 Carolina Sunshine is an exquisite luxury beach home located in the gorgeous Cherry Grove area of North Myrtle Beach, South Carolina. 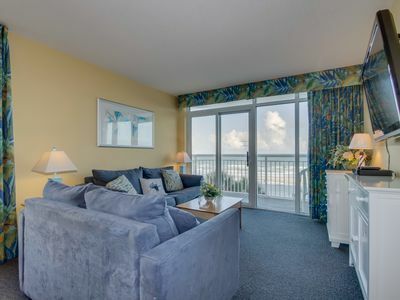 This six-bedroom and four full bath beach vacation rental home delivers pure luxury living accommodating up to 14 guests. 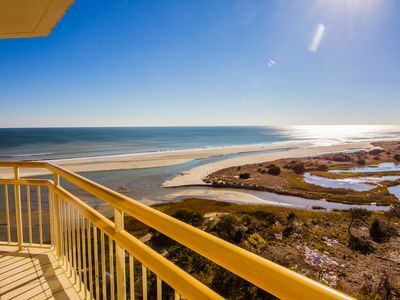 If you love peaceful living, golden sunrises over the Atlantic Ocean and the best fishing, then this oceanfront beauty is exactly what you have been searching for. Eight parking spaces are included with your reservations. 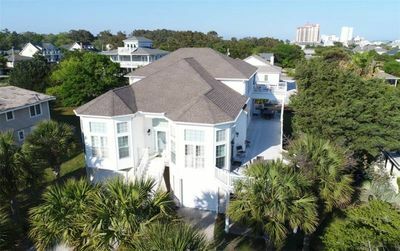 Accented in gorgeous plank woodwork throughout the beach home, this place screams relaxation from the front door to the white sandy beaches. 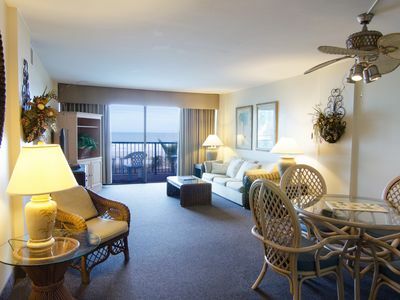 Carolina Sunshine is boasting in amenities including six flat-screen TVs, one DVD player, lovely oceanfront balcony, perfect central air and heating, a washer and clothes dryer and comfortable plush beds. Free WIFI is included with your reservations. Keep in touch with friends back home on your Instagram account or Snapchat. 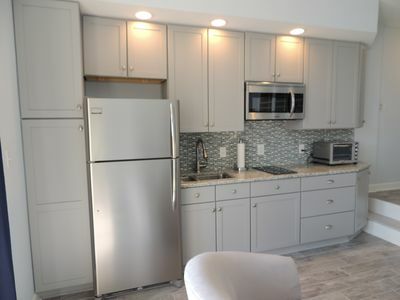 Step into the expansive kitchen accented with beautiful oak cupboards, plank wood ceilings and full-size appliances. It is spectacular! 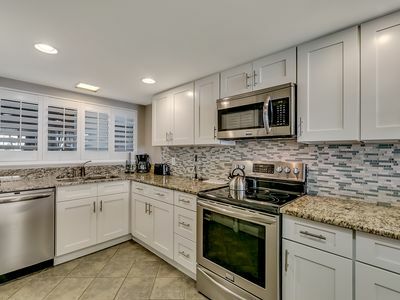 Prepare fresh home cooked meals daily while saving money for outings. 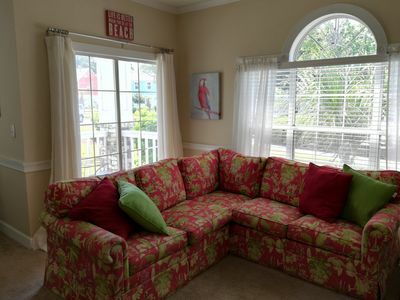 The romantic master bedroom at this dreamy beach vacation rental luxury house boasts a tranquil view of the seacoast. A departure maid service is required with this notable rental. 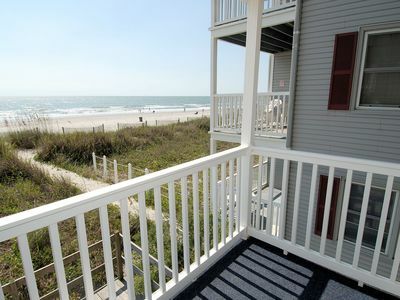 Monthly winter rentals are now open for this seaside stay. 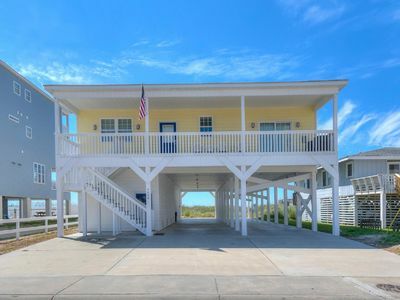 A large swimming pool is coming in 2019 at this oceanfront beach home. Do you love fishing? 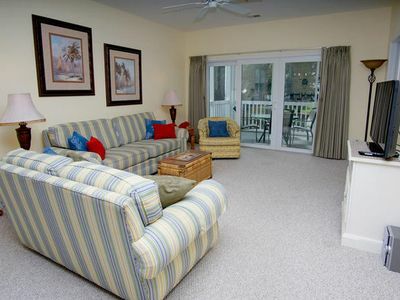 Then you have chosen the best rental in the best fishing location near the Atlantic Ocean. 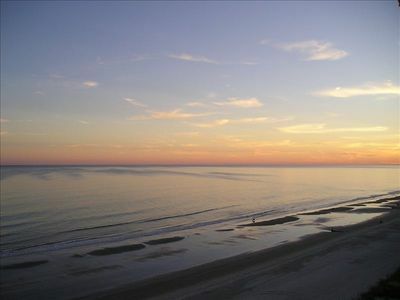 Located oceanfront you can fish every day and reel in the most delicious fresh seafood ever. 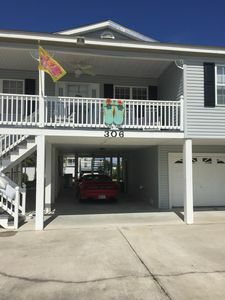 A grilling area is included at this vacation rental beach house which is ideal for family seaside picnics. 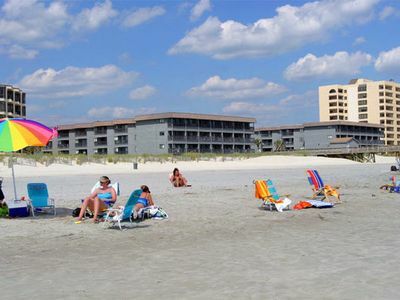 Spend your hot South Carolina sunny days just outside your beach home at the 60 mile stretch of white sandy beaches. 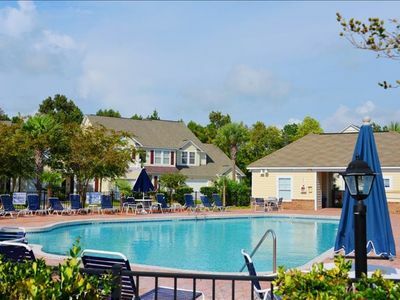 Enjoy swimming, surfing, kayaking, paddle boarding and maybe even a jet ski ride along the Intracoastal Waterway. 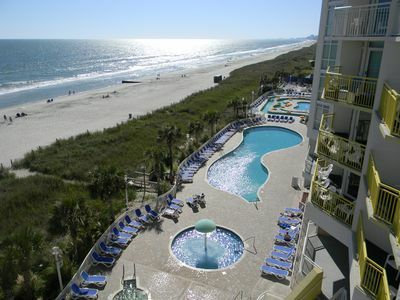 Whatever you do in North Myrtle Beach, it will leave memories etched on your heart in the years to come. Spotless Penthouse with Amazing Views! 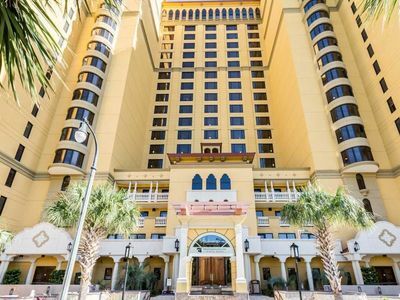 DON’T MISS OUT ON SPRING BREAK! BOOK NOW! 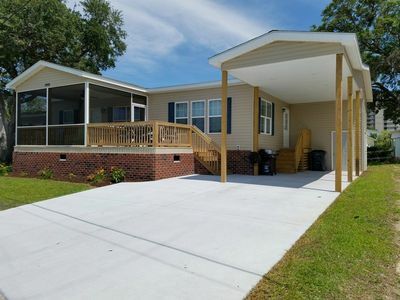 1990 Rhea 3 bedroom, 2 bath home. Golfers dream! 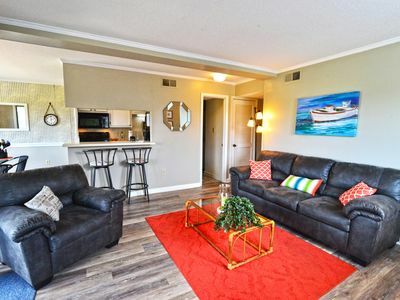 !1st floor condo. 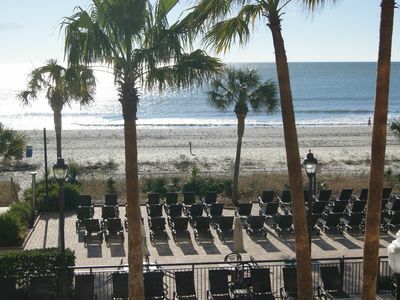 Now booking for your dream summer vacation. 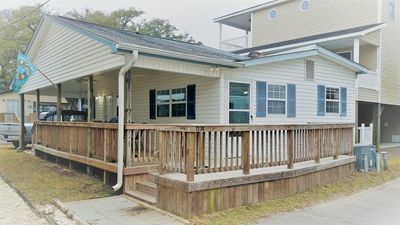 A NEW OCEAN LAKES Rental 2br 2 ba Beach Cottage w/ Golf Car and free WIFI!! !